if username and password is asked, type admin as username and admin as password. Go Advanced > Point your mouse to WAN then select New Connection. Select Ethernet from Connection Interface field, give any name on Name field. Click Apply > Save Settings. You will get error message something like this PVC value not valid/working. Repeat the Step 4 and 5 again so that the error message is resolved. Click on Restart Access Point on upper menu. Then click Save Settings. Click on Security > Select WPA2 or any encryption for password > Give password > Apply > Restart Access Point > Save Settings. 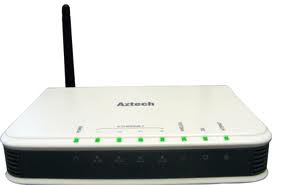 Restart your router and connect the wire from ONT to the Port number 4 or the router. nice post...really like this blogs..